Research output often results from or centers around particular projects. Below is an overview of projects I am or was involved in. Apart from projects, quite a number of my publications are simply the output of joined work with colleagues and students. To underline that I believe that my research is more than a list of projects, I would like to explicitly mention my own fundamental line of research on computational network science (see Research page). Most of the projects below, several collaborations with fellow researchers as well as thesis work by bachelor and master students, somehow involve some computation of or on network data, usually within a particular application domain. LIACS is a partner in RISE_SMA, an interdisciplinary, international network combining excellent scholars and practitioners to enable vigorous knowledge sharing and to develop solutions for contemporary challenges for Social Media Analytics (SMA). 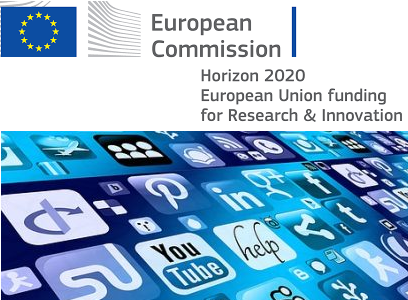 It is the result of a EU H2020 Marie Skłodowska-Curie Research and Innovation Staff Exchange Call (MSCA RISE) proposal. From Leiden, Michael Emmerich, Suzan Verberne and Frank Takes are involved. In this teaching-oriented project, the goal is to develop a digital platform to facilitate collaborative learning from peer reviews. It can be used by students in a course to share best practices obtained from from individualized peer review sessions in an effort to advance the skills and knowledge of the entire classroom. This project is part of my fellowship of the Leiden Teacher’s Academy (LTA). This computational social science project deals with eScience questions related to corporate network analysis and visualization, with particular focus on board interlock networks and ownership networks in the context of offshore finance. It involves two research engineers from the Netherlands eScience center. A four year project together with the inspectorate of the Dutch Ministry of Infrastructure and Water will focus on new data-driven methods for risk assessment, with the aim to for example better coordinate inspection efforts. As part of this project, two PhD students will work data of amongst other things (networks of) water transportation and vehicle movement. This four year research project aims to investigate data-driven modelling techniques from both computer science and economics in order to devise new methods, techniques and algorithms for determining official economic statistics. 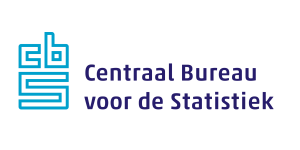 The project consists of one PhD student and is a collaboration between Centraal Bureau voor de Statistiek (CBS), the University of Amsterdam and Leiden University. The main challenges addressed in this project deal with data management, availability and computation of large-scale network data. In particular, we are analyzing data on over millions of corporations connected through hundreds of millions of different types of links. 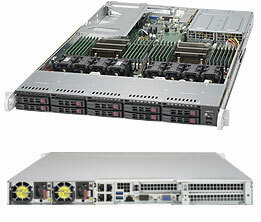 This project’s multi-core big memory server architecture forms the backbone of the data analysis infrastructure of the CORPNET project (see below). At the CORPNET interdisciplinary computational social science research group of the University of Amsterdam, we use network science to understand the global economy. The five year project is a product of the 2015 ERC Starting Grant of Eelke Heemskerk, centered around the multidisciplinary collaboration between computer science and the social sciences on the analysis of corporate networks. It considers data on corporate ownership and interlocking directorates, forming so-called networks of corporate control, which we analyze using network science. This project, in collaboration with the Dutch National Police and Utrecht University, had as a main goal to better assess the risk around soccer matches and other soccer-related activities. Using state-of the art visualization and data science methods, we were able to devise a hands-on framework on an interactive itable. I focussed on adding network science components. The resulting product could help police officers on a daily basis to make better decisions in terms of planning and allocation of resources around soccer matches, automatically re-using historical data on previous incidents. The goal of my PhD project, in collaboration with TU Eindhoven, was the development of stream mining techniques for complex patterns such as graphs. The aim was to extend the existing state-of-the-art techniques into two, orthogonal directions: on the one hand, the mining of more complex patterns in streams, such as sequential patterns and evolving graph patterns (for example social networks), and on the other hand, more natural stream support measures taking into account the temporal nature of most data streams.